If you’re interested in learning more about the Philippines’ history or just want to see historic military structures, Corregidor Island should be at the top of your Must-Visit list. It was a key battleground during the Second World War as Japanese and American forces fought against each other and, as a result, became an important part not just of Philippine history but also of the world. There are several attractions you can explore when you visit Corregidor, and one of these is the Pacific War Memorial. 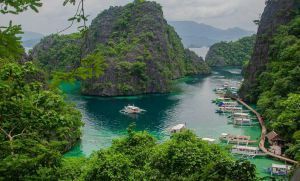 Located on the highest part of the island known as the “Topside”, it was built to honor the American and Filipino soldiers who fought during the Second World War. The United States Government provided funding to construct the memorial, and it was eventually completed in 1968. The rotunda is specially designed so that, in theory, a beam of sunlight hits the altar every May 6 at 12 noon. (May 6 is the anniversary of the Fall of Corregidor, when Filipino and American soldiers — who were cut off from food and water supplies — surrendered to the Japanese.) This phenomenon has not occurred again in recent times, although it’s still nice to see sunshine light up the rotunda’s interiors at any time of the year. 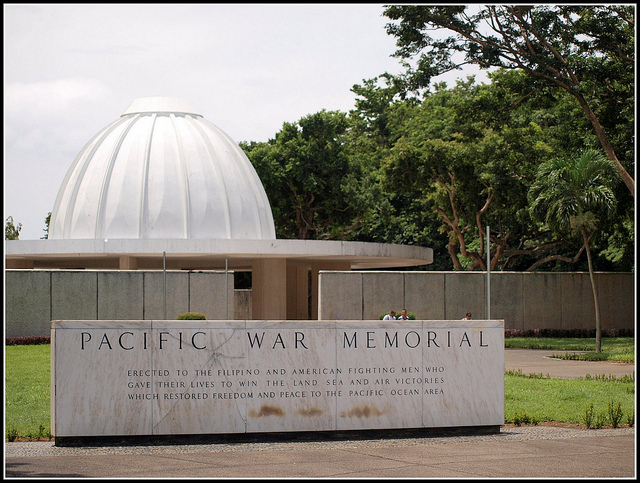 The Pacific War Memorial also has a museum where you can see war memorabilia (like katanas, soldiers’ uniforms, and coins from the Philippine Commonwealth era), photographs taken during the Pacific War, letters from soldiers or their families, and models of vintage WWII planes. You can also view a mosaic that outlines the details of the Pacific campaign and the efforts of the Allied forces to win the war. The museum also has a souvenir shop and a media room where a film projector shows war documentaries. 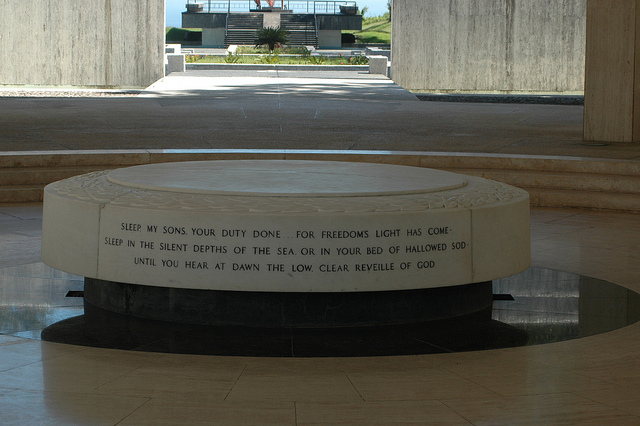 Behind the Pacific War Memorial is the sculpture known as the Eternal Flame of Freedom. It was commissioned to famous American sculptor Aristides Demetrios, who created a design that symbolizes the sacrifice made by Filipino and American soldiers in their bid to uphold freedom. The sculpture, which is made of Corten steel, stands at 40 meters tall and is set on a high platform. From this vantage point, visitors can enjoy a breathtaking view of Manila Bay and even see the coastlines of Bataan and Cavite. To visit the Pacific War Memorial as well as the other attractions in Corregidor, find a local travel company that offers tour packages to the island and book a tour with them. 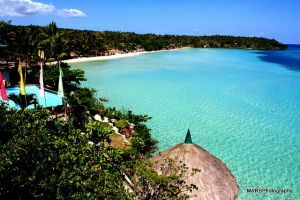 Your package will most likely include a ferry ride to and from the island as well as lunch in the Corregidor Hotel. You’ll also get to ride the tranvia, an open-air bus that will take you to from one attraction to another.